Well, 2014 has been a great year so far with weddings from Gloucestershire to Cornwall and everywhere in between. We've met such lovely floral folk at charity demonstrations and courses - caught up with 'old' friends and made a mass of new friends. Alas my cutting gardens are looking rather neglected but I've loved spending more time with my own little flower fairies at home, playing in the garden rather than seriously working on the garden. We're in the winter zone now, cutting dogwood and vine, wiring cones and getting ready for all our Christmas courses and events. I hope that you'll find a course to inspire you and hope to see you again soon - I can't wait to get into the festive spirit! If you have a group of 15 or more guests just let me know and we can organise a dedicated session for you and your group as an evening class or daytime class - just contact me with some dates which would suit you and I can check availability on the room at the Pavillion in Broadclyst - or we can use your venue if you prefer. Make your stylish Christmas Door Cone at the Sports Pavillion in Broadclyst. Come along to make a rustic chic decoration to hang on your front door (or indoors). 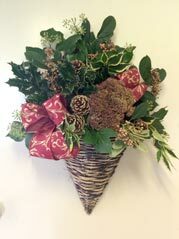 Course fee of £25.00 includes coffee and mince pies, teaching help, and all your materials including dried hydrangeas, cones, dried fruits, ribbons and the base. This decoration in the picture is approx 18" from top to bottom and approx 16" but you could make a smaller, neater version if you have a small door. Wreath Making at the Sports Pavillion in Broadclyst. Come along to make a rustic chic wreath. Course fee of £12.50 includes coffee and mince pies and teaching help and you can bring your own foliages, ribbons etc (we’ll have a well stocked sales area for you to top up with ribbons, wire frames, dried fruits, berries etc) or pay a fee of £20.00 and have all your materials and use of our tools included. This is a small space and so places are limited. Make your own Mantle piece Decoration, wreath or table decorations at my home studio (or kitchen if it's chilly/wet). Come along to this bijou little group and make your Christmas swag, mantle, table decoration or wreath for your home. There’s a teaching fee of £12.50 (includes tea and coffee but no materials) and you can top up with any bits and bobs that you need by pre ordering cut flowers or bring bits with you. Sarah will email a resource list for your chosen project. Numbers limited to 6 places so book early to bag a space. Please contact the organisers direct to book places or for more information. workshops include traditional wreath making. Please contact Killerton on 01392 881345 for a leaflet or look online at the NT’s events list. Booking for all courses is essential. We ask for the full course fee at the time of your booking. 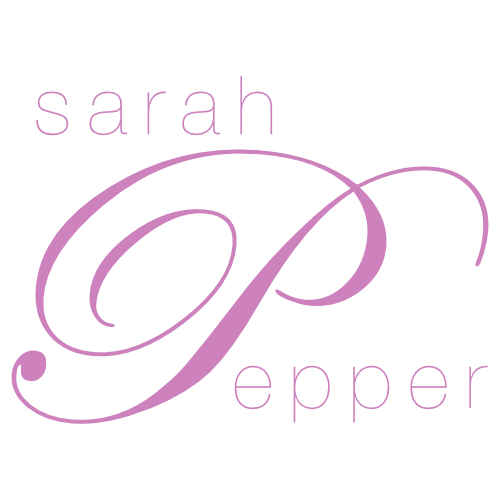 You can ring in with details of your debit or credit card (there’s a 2.5% handling fee for using credit cards), or cheques should be made payable to Sarah Pepper. We would be grateful if you could supply a stamped addressed envelope if you would like a written acknowledgement of your booking by post, alternatively we can telephone or email confirmation for you. In the event of the course being cancelled you can choose either a full refund or a credit against further courses. Should you find it necessary to cancel your place through accident , emergency, or illness then a full refund will be given, for any other reason a handling fee of up to 25% may be payable. Please do let us know if you have any special needs or requirements as we want you to feel as comfortable as possible and get the most out of your time with us. The Sports Pavilion is in the centre of the village, next to Holly Close and adjacent to the Recreation Ground. Approaching Broadclyst Village from Exeter (via Whipton, the University side of Exeter or through Beacon Heath), you’ll pass through Pinhoe and then over a speed restrictor before you get to the centre of the village. In the village centre you’ll pass the HH Restaurant on your left, then you’ll see the Church on your left and the Red Lion Pub. Almost directly opposite the pub (on your right) you’ll pass a thatched bus shelter and you need the next right hand turn after this, called Town Hill (if you pass the primary school on your right then you’ve gone a bit too far and need to turn around). Drive down Town Hill and carry straight on that road – don’t turn right to Town End. You will pass through a pair of national speed limit signs straight in front of you and it looks as though you’re driving out into the countryside. My house if the first house that you’ll come to on the left. It has beech hedge in front and it’s a cream coloured thatched house called College (although there isn’t a very large sign so you probably won’t see the house name). The address is College Cottage, Burrow Road, Broadclyst, EX5 3HX. Do give me a ring if you have any trouble at all in finding me on 01392 460032. Copyright © 2014 Country Cottage Crafts, All rights reserved.